Feared, reviled and revered, the wolf has always evoked powerful emotions in humans. It has been admired as a powerful hunter; feared for the threat it is imagined to pose to humans; reviled for its depredations on domestic livestock and revered as a potent symbol of the wild. "Wolf" explores the ways in which indigenous hunting societies respected the wolf as a fellow hunter and how, with the domestication of animals, the wolf became regarded as an enemy because of attacks on livestock. Such attacks led to the wolf's reputation as a creature of evil in many human cultures. Alone or in packs, farmers hated wolves. In children's and other popular literature, they became the intruder from the wild preying on the innocent. So powerful is the image of the wolf in the human imagination that it became the creature that evil humans can transform into--the dreaded werewolf. Garry Marvin shows how the ways in which wolves are imagined has had far-reaching implications for how actual wolves are treated. Fear of this enigmatic creature eventually led to an attempt to eradicate it as a species. However, with the development of scientific understanding of wolves and their place in ecological systems and the growth of popular environmentalism, the wolf has been re-thought and re-imagined. Still hated by some, the wolf now has new supporters who regard it as a charismatic creature of the newly valued wild and wilderness. 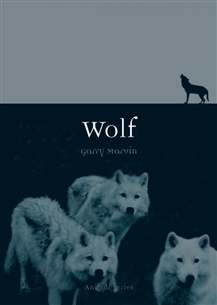 This book investigates the latest scientific understanding of the wolf, as well as its place in literature, history and folklore, and synthesises a huge range of material to offer insights into our changing attitudes to wolves.